TrisKem International has signed an agreement with Raddec International Ltd (Radiochemical & decommissioning solutions) to become sales representative for their Pyrolyser systems and the associated accessories for Europe (except UK), Russia and CIS, Africa and the Middle-East. Raddec International Ltd is a registered UK company based in Southampton (UK) with agents in France, South Korea, South Africa and Australasia. Founded in 2006, Raddec International markets the radioanalytical technologies and experience developed by Raddec (UK) Ltd (established in 2003) in support of nuclear decommissioning programs. 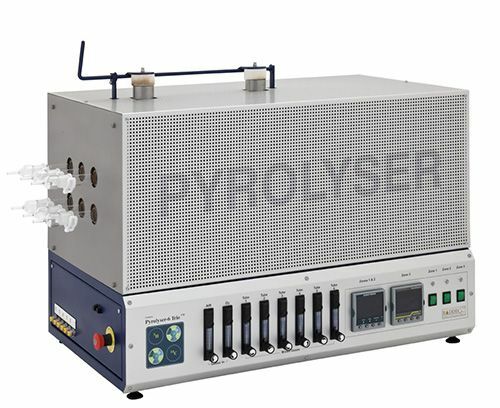 The Pyrolyser systems are combustion furnaces designed for the extraction of total tritium, carbon-14 and radio-isotopes of iodine in almost any sample type (e.g. 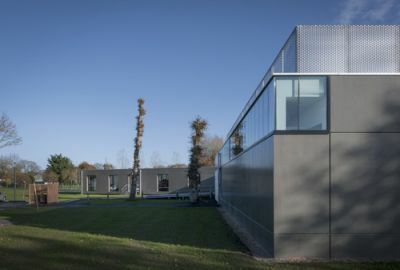 metal, structural and bio-shield concrete, biota, soil, sediment, plastic, asbestos, graphite). It is a multi-tube system thus allowing the treatment of several samples of up to several grams depending on the sample material in one unit at the same time. The systems were designed by practicing radiochemists based on their long experience of making radioactive measurements on environmental and decommissioning samples. The Pyrolyser furnaces are used in numerous nuclear, research, defence and commercial laboratories within the UK and worldwide. The Pyrolyser multi-tube system is fully integrated into a single space-efficient instrument. Each system incorporates controllable heating, metered air and oxygen gas flows, a catalytic oxidation zone and a bubbler chain to extract and quantitatively trap fully-oxidized sample decomposition products. Up to 6 samples can be extracted at one time over a period as short as 2 hours. In addition to the standard Pyrolyser Trio, the Pyrolyser Mini system with very small foot print is availabe for specific applications, allowing for use in p.ex. fume hoods, for instance.